These are not actual objects but rather tools to help you improve the look of your lots. I've always hated the visible edges on floor tiles, especially when creating a swimable surface in ponds, so I began to investigate the possibilities to mod the floor tiles. My experiments led in other directions too and suddenly I also had an object which could hide the pond water surface! Allthough these are base game objects they will however require at least Nightlife or a later EP in order to have 100% functionality because of special BHAV instructions! 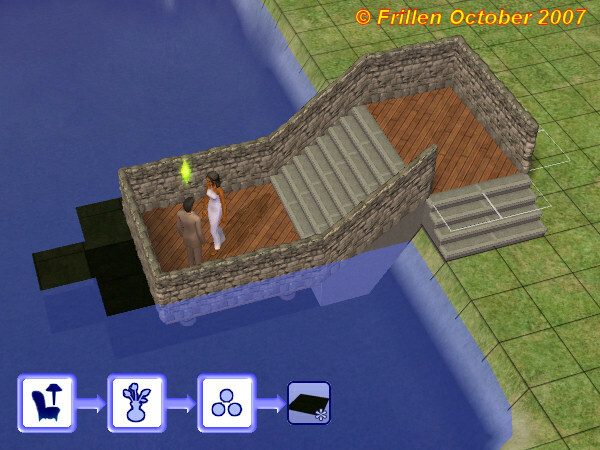 This object will hide any floor tile including their edges, sims will still be able to walk on them, however there's no 'walk to' -option when you click on them. Once you delete them the hidden floor tiles will be visible again. 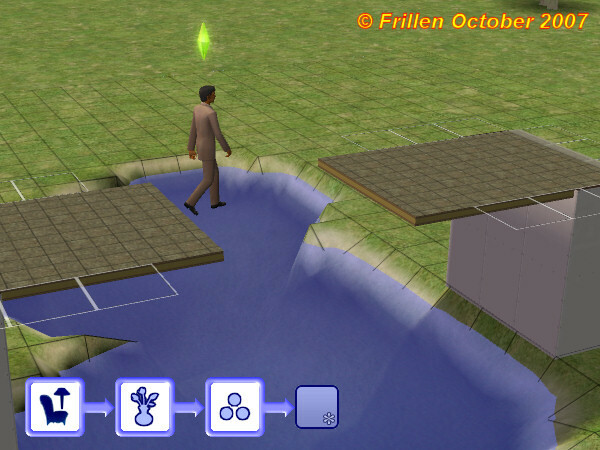 This is great for creating invisible bridges or whatever you desire, but mainly I created it to hide the floor tile edges in swimable ponds. 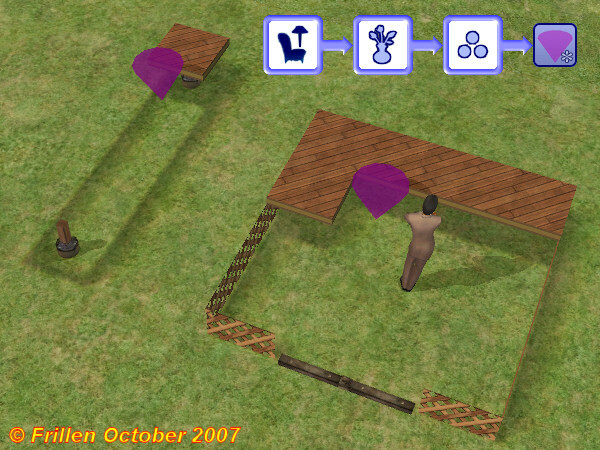 This object will hide the water surface in ponds, however it does require a flat pond bottom because hiding the surface also hides the bottom, so I had to create an illusion of pond bottom where it's placed. Yhese can be a bit tricky to place especially under column decks, so place these first then drag the column decks by holding CTRL key down(just as when deleting, do not move the mouse, release the CTRL key and left click, your column deck should now appear. Once deleted the ponds surface & bottom will re-appear again. 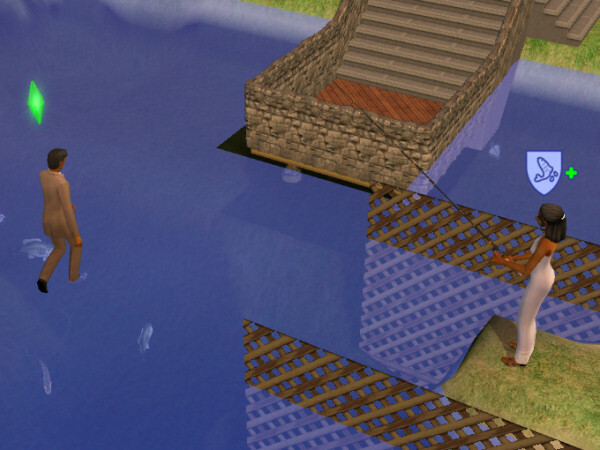 For those who have Seasons installed - Please remember that the fish do not know that the water surface has gone, they will swim right through the area! This last one is meant to permanently remove floor tiles, especially those which are har to get rid off. It can remove the floor tiles on foundations, column decks etc. Place 1 and move it to a new location to remove floor tiles! That's about it, I hope you'll enjoy these small magical tools(objects). Create recolors & upload them, but remember to link to this mesh! Use it in a house & upload your house to any site as long this object is a part of your lot!